Category: Chess Clocks Tags: ABC, Analog Chess Clock, Analog Chess Timer, Analog Game Clock, Analog Game Timer, CBA, chess, Game Timer, games timer, H.A.C. This offering features a Jacobean-stained oak-cased Antique Federation Chess Clock. These were sold through the British Chess Federation, among others. At one point, Jaques of London was offering this same model. 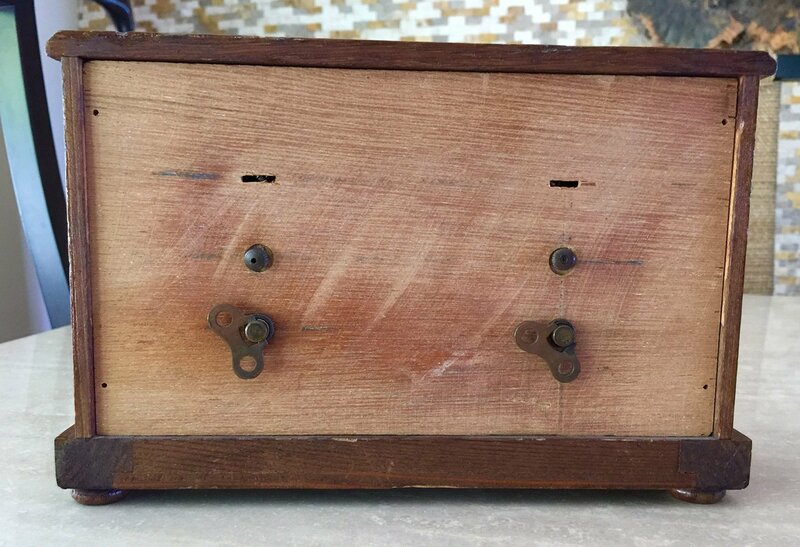 This mechanical analog clock features two wind-up mechanisms which can be independently stopped by pressing a button atop the frame which forces a bar (in a see-saw fashion) which held two metal strips to engage one of the escapements, thus causing that timing mechanism to stop. The case measures approximately 9-1/4″ x 6″ x 3″. The case has button feet and is in very good condition with a pleasing patina. The back panel has been replaced, as can be seen from the attached image. Both the movements are in good working order, but the knobs that control the setting of the hands of the clock are tight and will need to be lubricated by an experienced antiquarian clock repairman. 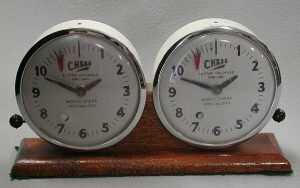 The Federation Chess Timers date from around 1925. These Timers were used in many clubs and could be found in use at tournaments of all levels throughout the United Kingdom in the early to mid 1900s. The clock’s movements were manufactured by H.A.C. 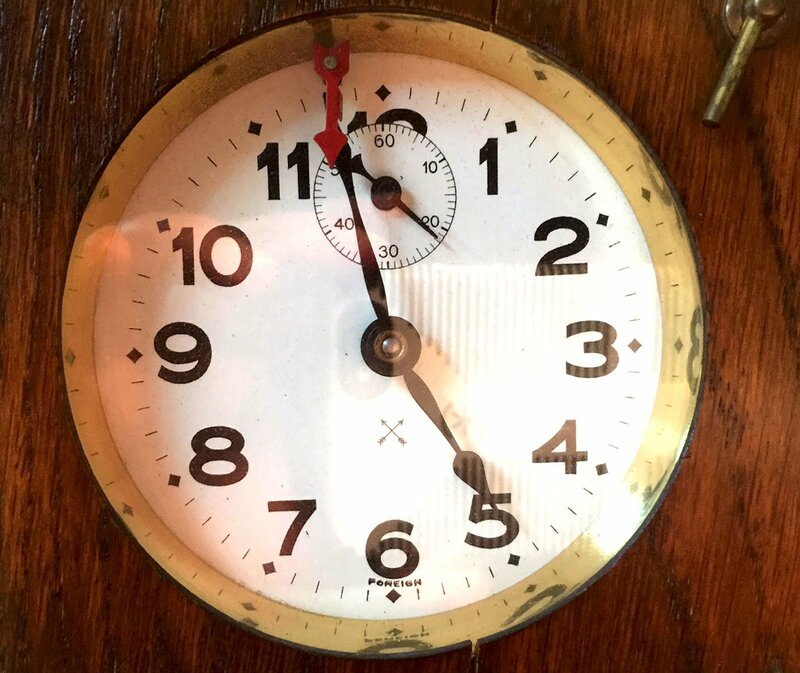 ( HAMBURG AMERICAN CLOCK Co., 1883-1929). 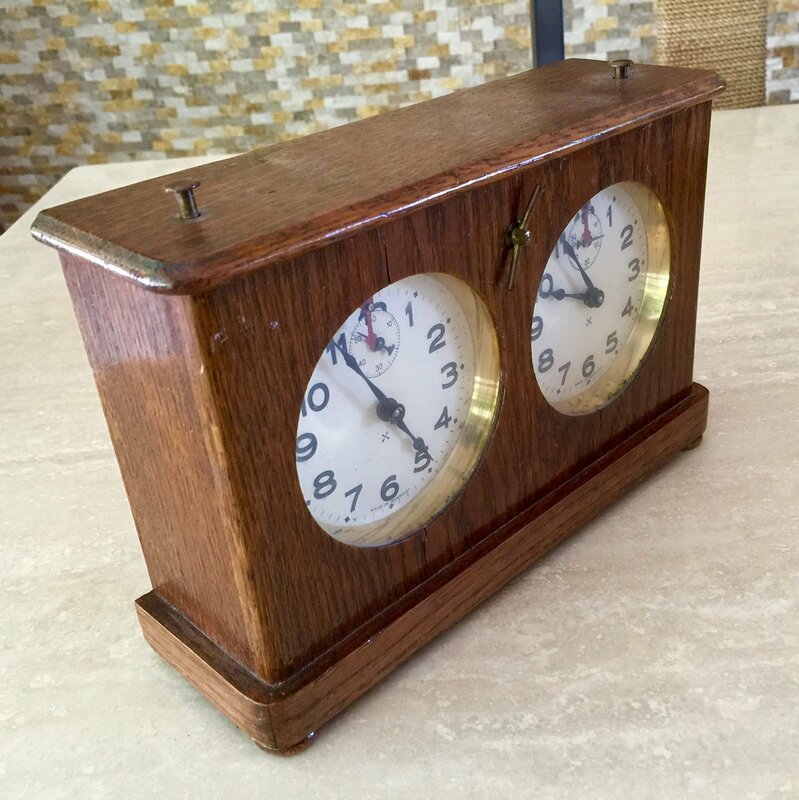 Founded in 1883 by Paul Landenberger from an earlier partnership of Landenberger and Lang, this German company produced domestic clocks of all types using American methods and many American designs. In 1892 the firm registered the crossed arrows Trademark which is instantly recognizable, and can be seen on the clock’s dial. 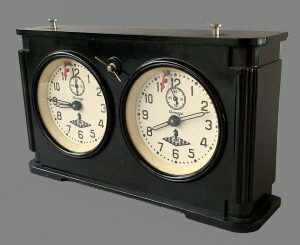 The company was involved in the production of clock movements, clock parts, dials, and cases for all types of clocks. Most of these products were sold to the trade as they were not in the business of selling finished clocks. 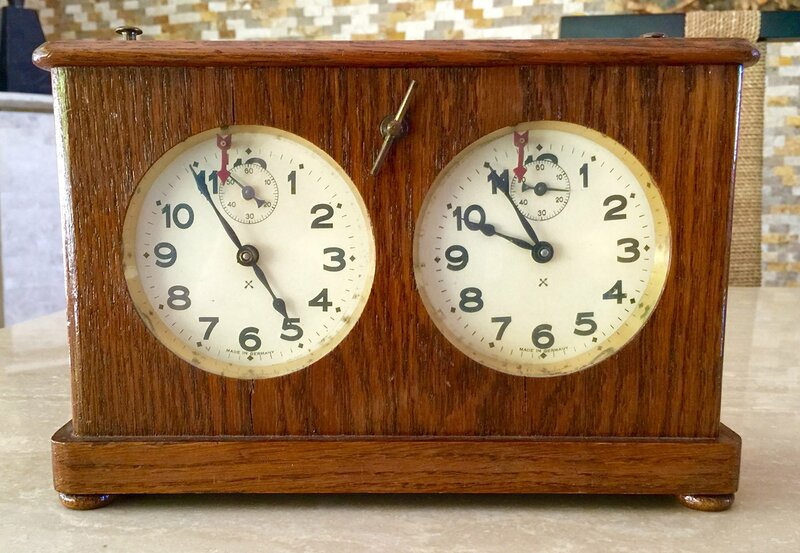 The more expensive rival Tanner and Jaques Congress Timers also had movements from H.A.C.